In China it is common for people to call each other not by their names, but by their relationship to each other. So if you’re a teacher your students will call you “teacher” in the classroom, but in the office the other teachers will call you “colleague” and when you get home your other half will call you “husband” or “wife”. In an English speaking country it might be rude to shout “waiter” (fúwù yuán) at the person serving you in a restaurant, but in China this is the normal way to address such a person. Many jobs that would require you to have a name badge in an English speaking country, enabling people to call you by name, often have no such name badge in China. So what about the word tóngzhì ? tóngzhì is a more general term for someone whose relationship to you is not so clear and is usually translated as “comrade”. This use of the word tóngzhì is somewhat old fashioned but is still common in more formal and written Chinese, such as newspapers. However, you need to be careful about going around calling people tóngzhì in spoken Chinese because the meaning has changed a lot. 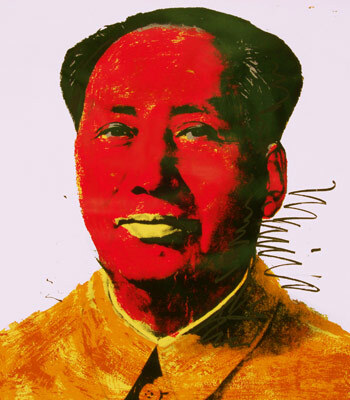 was chairman mao a tong zhi? 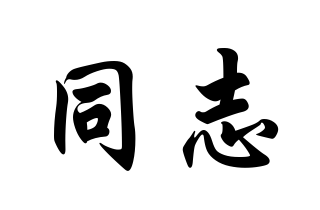 tóngzhì , as it is now commonly understood, is a euphemistic term for “homosexual”, although the Chinese dictionary does not officially recognise this definition (probably because the newspapers still refer to communist party members as tóngzhì.) Controlling a language is a lot more difficult than simply refusing to print a definition of a word in a dictionary. The fact is, like it or not, tóngzhì means homosexual in Mandarin, and so you probably shouldn’t go around calling your friends tóngzhì too often. This entry was posted in Word of the week and tagged Chinese, comrade, gay, homosexual, mandarin, tong zhi, word of the week. Bookmark the permalink.